The 9900 Multi-Parameter Transmitter has superseded most of Signets previous range of individual Transmitters and Indicators, please contact us if you have further questions about its suitability for your needs. The Signet 9900 Multi-Parameter Transmitter provides a single channel interface for various parameters. These include flow, pH/ORP, Conductivity/Resistivity, Salinity, Pressure, Temperature, Level and other sensors that output a 4 to 20 mA signal. The 9900 transmitter (generation II) has the added capability of supporting the batch module for batching control. The extra large (3.90 x 3.90) auto-sensing back-lit display features at-a-glance visibility that can be viewed at 4-5 times the distance over traditional transmitters. The highly illuminated display and large characters reduce the risk of misreading or misinterpreting the displayed values. The display shows separate lines for units, main and secondary measurements as well as a ‘dial-type’ digital bar graph. Designed for complete flexibility, plug-in modules allow the unit to easily adapt to meet changing customer needs. Optional modules include Relay, Direct Conductivity/Resistivity, H COMM, Batch and a PC COMM configuration tool. 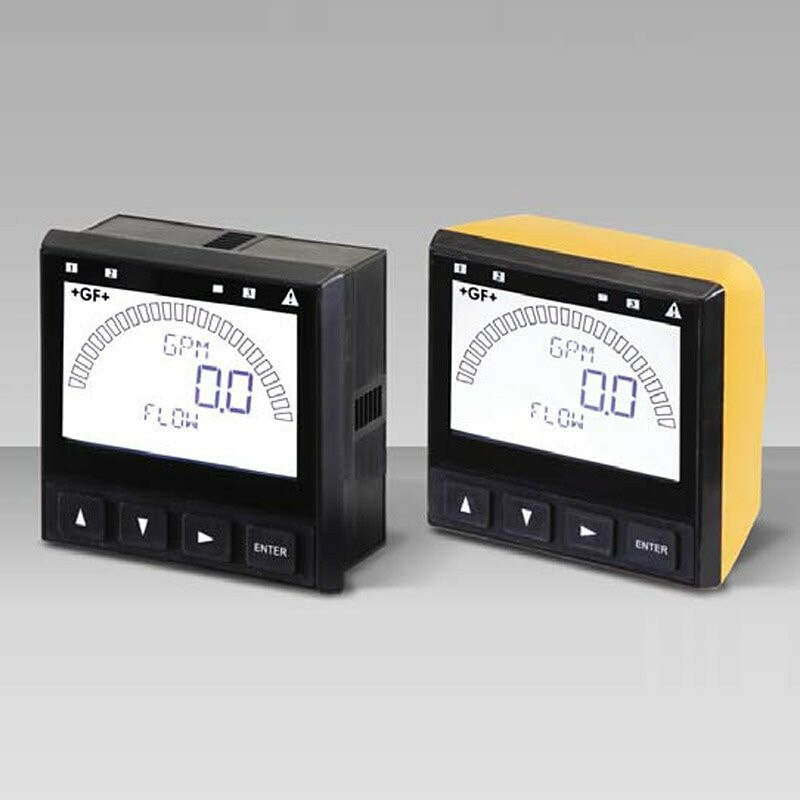 The unit can be used with default values for quick and easy programming or can be customised with labelling, adjustable minimum and maximum dial settings, and unit and decimal measurement choices.